Downgrade - Bounty. Cost: 1. 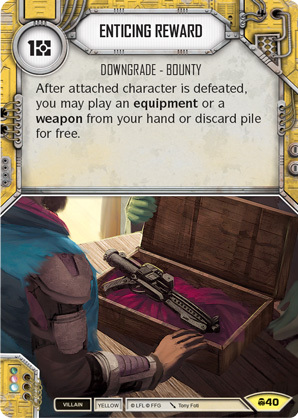 After attached character is defeated, you may play an equipment or a weapon from your hand or discard pile for free.